While the ROG Maximus series covers the high end of the spectrum, the Strix family opens the Republic of Gamers to a wider audience. Right out of the box, they have everything you need in a gaming motherboard. Though they exclude some of our more indulgent extras to hit affordable price points, you still get essentials like one-click system tuning via 5-Way Optimization, enhanced SupremeFX audio with headphone amplification, and ample headers for complete system cooling. Must-have features permeate the lineup, which extends from full-sized ATX boards down to smaller microATX and Mini-ITX models. In addition to selecting from multiple form factors, you can also opt for different color schemes. 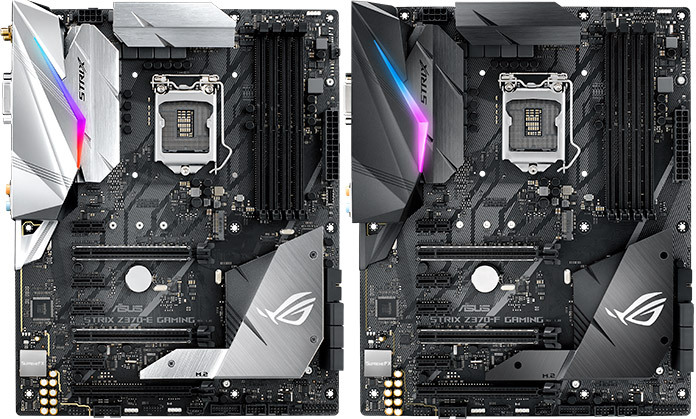 Nearly identical twins, the Strix Z370-E Gaming and Strix Z370-F Gaming contrast light and dark sides of the same design. The Z370-E turns heads with a gleaming silver finish on its heatsinks and I/O shroud, while the Z370-F opts for subtle charcoal shades that blend into the shadows. Apart from a couple of additional differences, they’re basically identical boards for mid-range builds. Both have dual PCIe x16 slots with full SafeSlot reinforcement, so they’re ready to double up on graphics monsters like our ROG Strix GTX 1080 Ti. 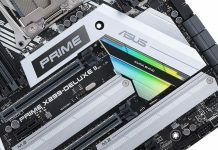 The maximum supported memory speed is DDR4-4000 across all four slots, which is one notch slower than our Maximus boards but still fast enough for the vast majority of kits on the market. You need a special CPU—and special RAM—to reach top speed with Coffee Lake. Dual M.2 slots populate the landscape, complete with an integrated heatsink for the lower one. This carefully machined piece is separate from the heatsink covering the chipset, so it can be removed to accommodate drives that integrate their own cooling. The M.2 heatsink reduces drive temperatures by up to 15°C, which can help reduce throttling that saps performance under heavy sustained loads. Additional cooling can be added with a 3D-printed fan bracket that attaches to threaded mounting studs in the vicinity. Although the onboard lighting is confined to a diffused edge on the I/O shroud, the boards still have two headers for conventional RGB strips along with one more for addressable gear. Even at this level, we make sure there’s enough lighting capacity to cast a customized glow over a tricked-out rig. USB 3.1 Gen2 ports appear in Type-A and reversible Type-C flavors on both boards. 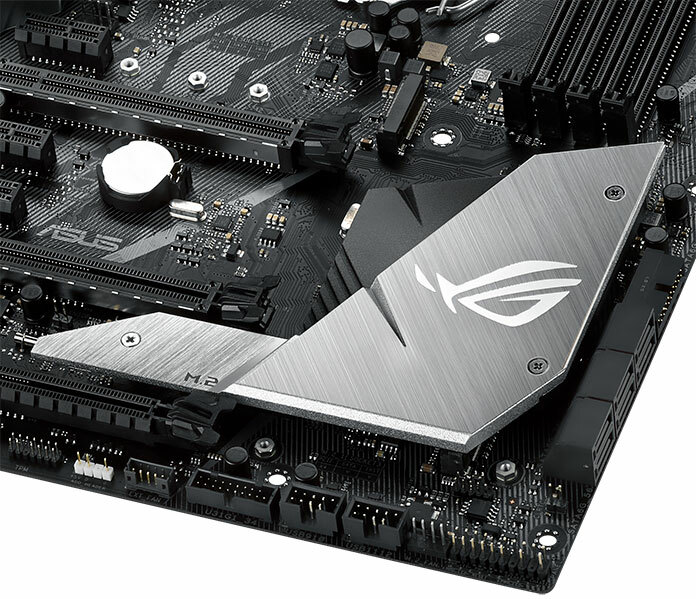 The Strix Z370-E Gaming adds a front-panel connector for the 10Gbps USB standard in addition to a dual-band 802.11ac WiFi to augment the wired Intel networking. 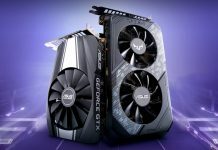 Those extras raise the asking price to $209.99 USD and $277.99 CAD, while the Strix Z370-F Gaming sells for $194.99 USD and $257.99 CAD. You can find both at the retailers listed above. ROG popularized the red-and-black colorway that came to define PC gaming hardware, and the Strix Z370-H Gaming revitalizes that classic look with a modern edge. The slashing cuts and hatched patterns from the rest of the lineup appear with brilliant red highlights that also infiltrate the lighting. 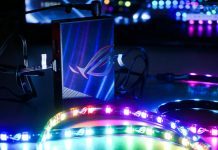 In a world filled with RGB LEDs, the Z370-H Gaming’s illuminated heatsink and audio path stand out by glowing red. Despite entry-level aspirations, the board is still equipped with the essentials. 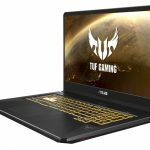 It has dual PCIe x16 slots with full SafeSlot protection and support for both SLI and CrossFireX. Dual M.2 slots let you add a pair of NVMe SSDs, and the lower slot supports extra-long drives up to 110 mm. There’s plenty of capacity for 2.5” SSDs and traditional hard drives, too. The SATA ports keep an especially low profile along the edge of the board, making it easier to route cables cleanly. 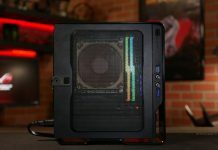 With four fan headers and one more configured for all-in-one coolers, the Strix Z370-H Gaming has enough cooling capacity for a reasonably full system. 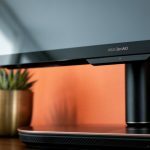 The only catch is that you’re limited to Fan Xpert 4 Core, which loses the sensor grouping and GPU temperature detection available in the full implementation. But the onboard cooling can still differentiate between 3- and 4-pin fans, and it integrates a calibration routine for tuning response curves to match the individual characteristics of connected fans. If you prefer a more holistic approach, our 5-Way Optimization software configures the cooling and overclocks the CPU with a single click. 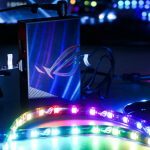 This board is just as eager to overclock Coffee Lake as the rest of the ROG family. 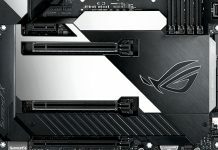 Priced at only $169.99 USD and $224.99 CAD, the Strix Z370-H Gaming makes ROG accessible to gamers on tighter budgets. It’s available from the retailers in the table above. 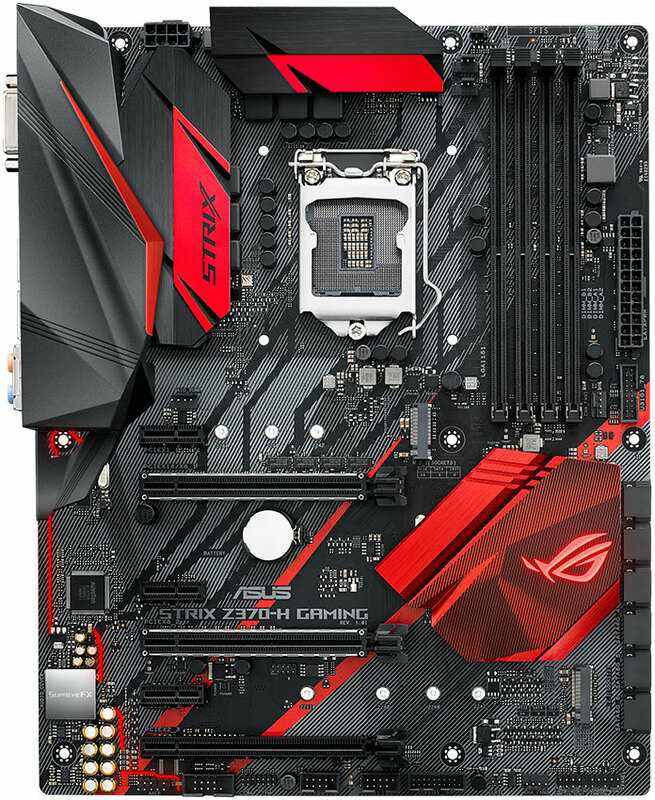 Like the dimensions of its microATX form factor, the Strix Z370-G Gaming motherboard strikes a delicate balance between footprint and expansion capacity. We made the board small enough to squeeze into compact chassis without taking away vital features you can’t live without. 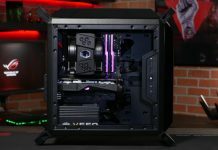 MicroATX builders often opt for the form factor because it leaves enough room for multi-GPU configurations that accelerate gaming and VR performance. The Z370-G obliges with two PCIe x16 SafeSlots primed for a pair of dual-slot graphics cards like the ROG Strix GTX 1080. 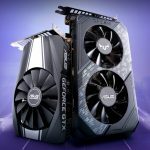 SLI and CrossFireX are both supported, with the only limitation being insufficient space to stack two 2.5-slot beasts like the Strix GTX 1080 Ti. Limited real estate forced us to get creative with the M.2 slots. One sits under the secondary PCIe slot, which isn’t ideal for thermals if you’re running dual cards, so the other pokes out vertically near the memory slots. This orientation puts SSDs in the path of natural chassis airflow, helping to reduce drive temperatures and avert throttling under sustained storage loads. Wireless networking is available via an optional 802.11ac WiFi module with integrated Bluetooth. 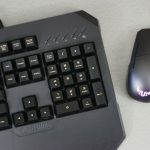 There’s still plenty of connectivity without it, including wired Intel Gigabit Ethernet, enough USB ports for a stack of gaming and VR devices, and even an old-school PS/2 connector for vintage mechanical keyboards. The Strix Z370-G Gaming brings the essence of ROG Strix to a smaller form factor that doesn’t force too many compromises. You can find the WiFi version listed for $184.99 USD and $244.99 CAD at the retailers above. Diminutive dimensions make Mini-ITX motherboards difficult to produce, especially when integrating all the extras expected from ROG. 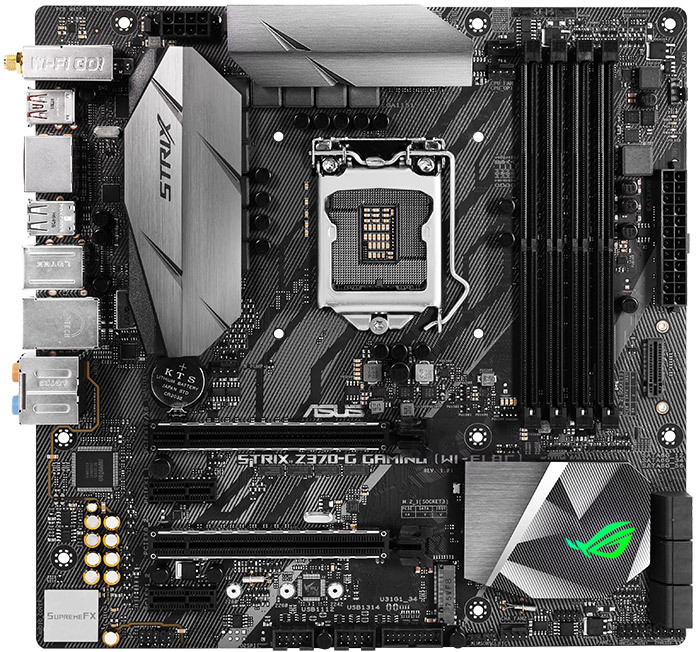 The Strix Z370-I Gaming picks its shots wisely to maximize value inside small spaces. Both of our small-form-factor Z370 boards overclock well enough to keep up with their full-sized siblings. And on Mini-ITX, form-factor limitations actually favor memory overclocking. Having only one DIMM slot per channel allows more direct traces, pushing the ceiling for capable CPUs and modules up to DDR4-4333 and higher. Smaller Mini-ITX builds usually run hotter, making SSD cooling especially important. That’s why we put the primary M.2 slot under a heatsink that helps keep your drive running at top speed. The heatsink is part of a two-piece assembly with an isolated section devoted to the chipset. While there isn’t room for dedicated cooling for the secondary slot tucked under the board, it’s still useful to be able to add a second SSD without running cables inside a tightly packed rig. Aura Sync backlighting creates a glowing edge that looks particularly slick with linear effects. The same patterns also come across well on addressable RGB strips, so we added the requisite header. 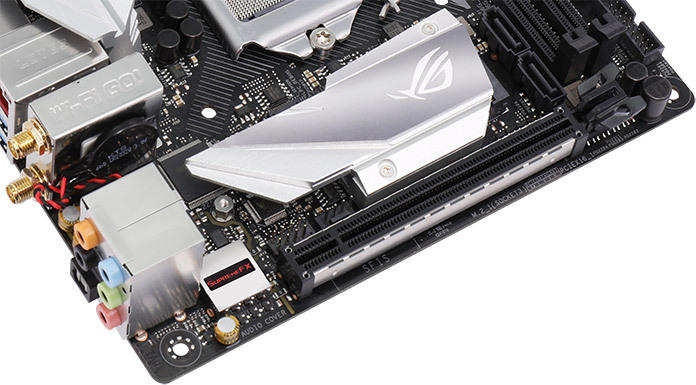 This connector gives the Strix Z370-I Gaming more advanced lighting than a lot of gaming motherboards several times its size. All the usual trimmings are included, like SafeSlot reinforcement, 802.11ac WiFi, SupremeFX audio, and full Fan Xpert 4 intelligence. Since Mini-ITX chassis usually leave little room to work inside, we include a wiring harness that simplifies front-panel connections. We’ve learned a few tricks in the years since ROG first offered a Mini-ITX gaming motherboard with the Maximus IV Impact. 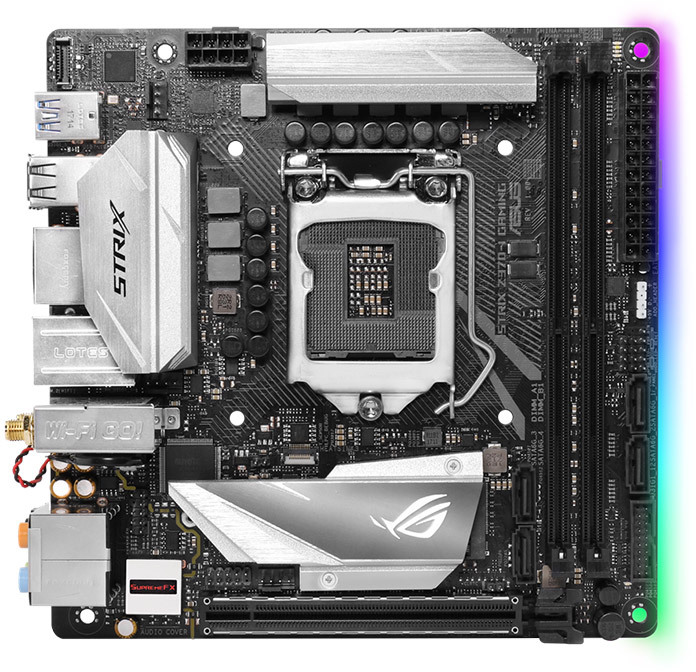 The Strix Z370-I Gaming punches your Mini-ITX ticket to Coffee Lake for $189.99 USD and $250.99 CAD. Check the retailers listed above for availability.